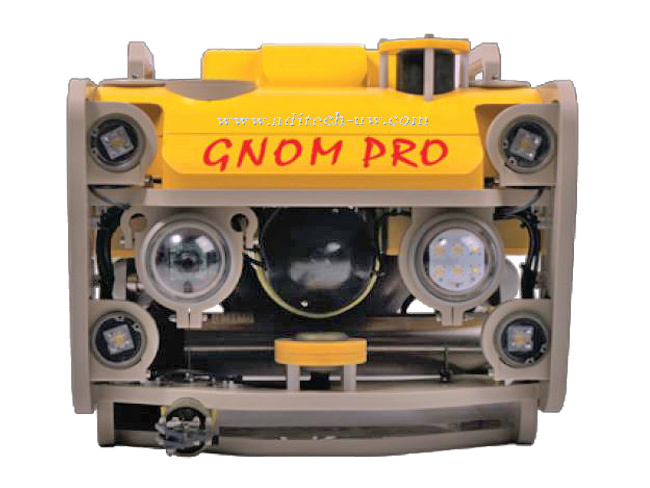 The Super-Pro is the most advanced model of the GNOM line of ROVs, it can be equipped with a manipulator arm and scan sector sonar. More powerful thrusters and additional illumination installed on the Gnom Super-Pro considerably expand the range of vehicle applications. 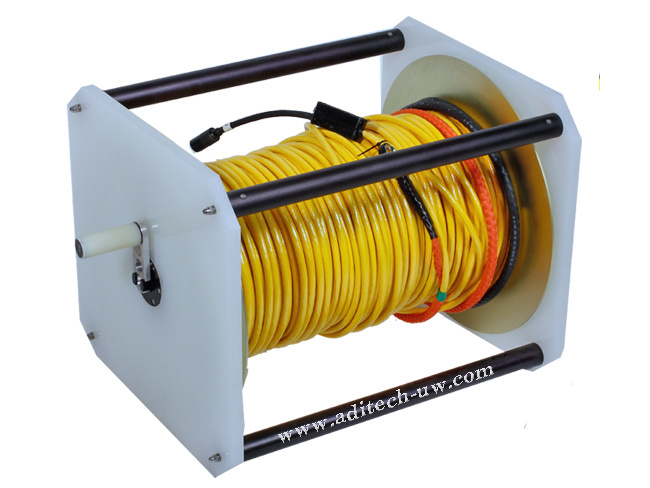 It has a small size, thin umbilical cable and very high manoeuvring capability which allows operating in hard-to-reach places including inside sunken wrecks. 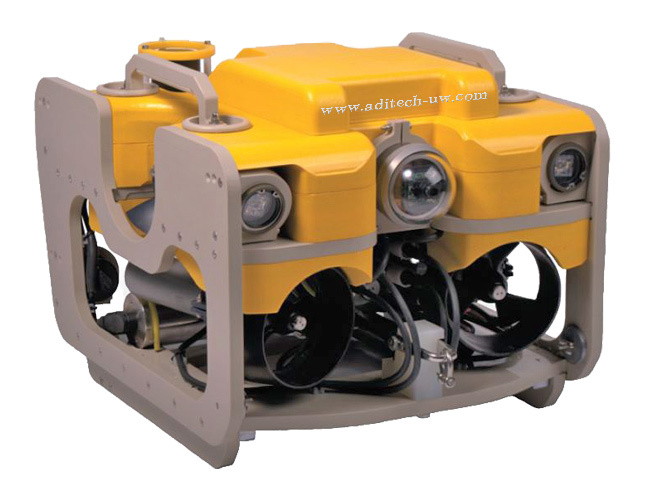 The Super-Pro is the most advanced model of the GNOM line of ROVs, it can be equipped with a manipulator arm and scan sector sonar (Micron Tritech or similar). More powerful thrusters and additional illumination installed on the Super-Pro considerably expand the range of vehicle applications. 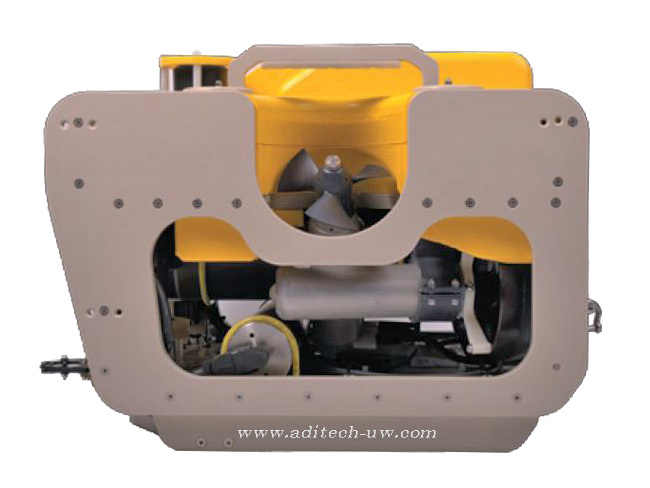 It has a small size, thin umbilical cable and very high manoeuvring capability which allows operating in hard-to-reach places including inside sunken wrecks. 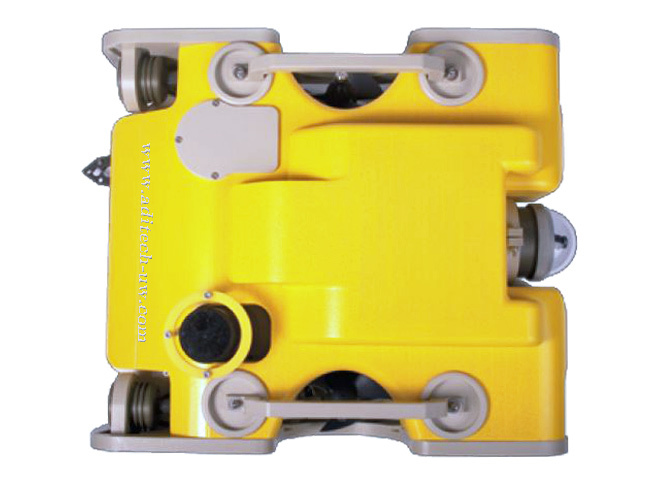 Many of the tasks assigned to work class ROVs – or human divers – is shallow (less than 300m) and involves searching, inspecting, or surveying underwater. These tasks are ideally suited to GNOM ROV technology. 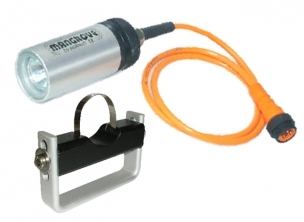 Smaller, lighter, ROVs that consume very little power can be deployed from many different areas or rigs and ships. 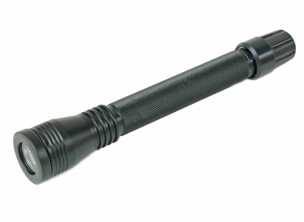 Since they have very little mass, they can be safely used on comparatively delicate machinery without fear of damage. 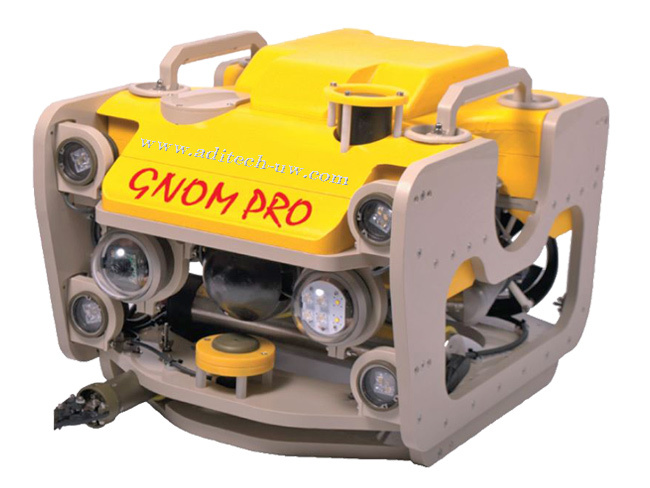 ROV GNOM-Pro is intended for inspection of any underwater objects such as wrecks, ship underwater parts, propellers and different underwater constructions. 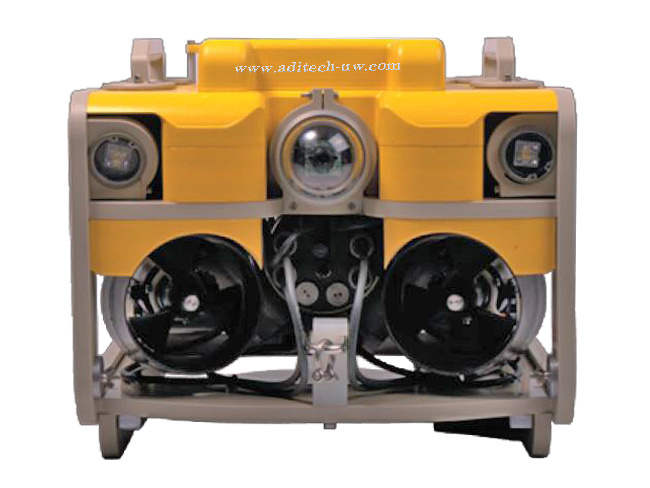 The vehicle has 4 vectored thrusters, 2 horizontal and 2 vertical which allows it to move underwater in all directions. 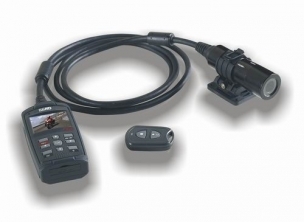 The vehicle is operated from the top side control unit via a 10mm umbilical cable using a wireless joystick based on video and data from depth sensor on a TV screen. Three clusters of ultra-bright LEDs are installed in front of the vehicle. 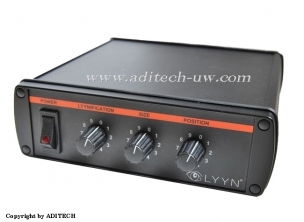 Maximum power consumption is 2000 Watt. The complete system is packed into two plastic cases. 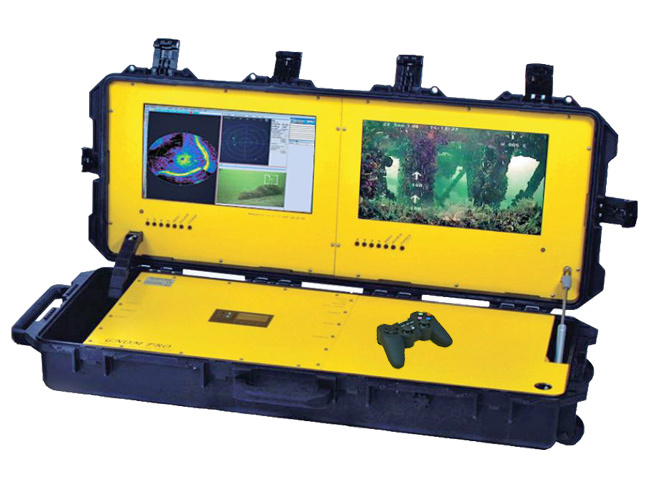 One case contains the underwater vehicle and cable reel, another – control and power supply module and joystick. 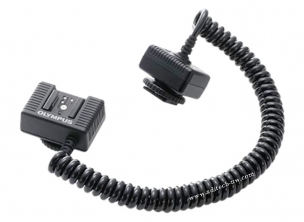 The size of operating area is limited by cable length (200 m in basic set). 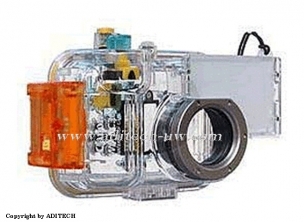 It is possible to increase the cable length up to 400 m.
The video camera together with lights provides 15-20 m daylight visibility in the transparent water. Maximum 3-4 m visibility can be reached during the night. Surface control/power unit integrated in a waterproof case. Nord Slovakia/VFTech or ADITECH must be notified immediately (in writing) of any suspected defect and if advised by Nord Slovakia/VFTech or ADITECH, the equipment subject to the defect shall be returned by the customer to Aditech, via a suitable mode of transportation and shall be freight paid. Should your equipment prove to be defective for any reason (other than those listed in the limitations below) it will be repaired or replaced at Nord Slovakia/VFTech´s discretion, free of charge, excluding shipping and handling charges. Nord Slovakia/VFTech nor ADITECH will not be liable for any loss, damages, or expenses including incidental or consequential damages directly or indirectly arising from the sale or use of the product. Nord Slovakia/VFTech nor ADITECH accepts no liability for any loss of captured images or the inability to capture images even if it is due to the malfunctioning or leakage of the housing. Nord Slovakia/VFTech does not warranty any product for aesthetic finishes. 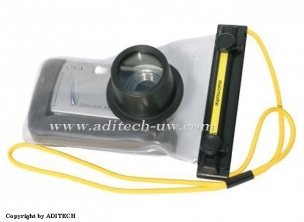 Issues with surface finish that do not affect function of the product are not covered under warranty. Modifications or repair by anyone other than an authorized Nord Slovakia/VFTech dealer or ADITECH Service Department will void the warranty. 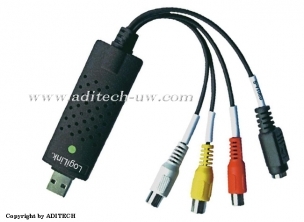 Each product is carefully examined and checked before it is shipped. 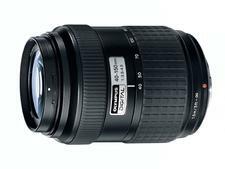 It should therefore be visually and operationally checked as soon as it is received. If it is damaged in anyway, a claim should be filed with the courier and Nord Slovakia/VFTech or ADITECH notified of the damage. By purchasing this product, you agree and understand that in no event will INord Slovakia/VFTech, its distributors or retailers, be held liable for any personal injuries resulting from its operation, or any other damage whether direct, indirect, incidental or consequential, even if Nord Slovakia/VFTech or ADITECH is advised of such damages.